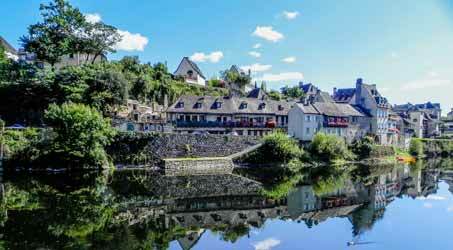 Located in Argentat-sur-Dordogne, camping in Corrèze opens its doors, go to discover this beautiful village of Limousin. 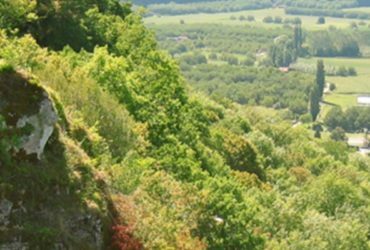 At the crossroads of Limousin, Auvergne and Quercy, the Corrèzienne Argentat-sur-Dordogne is also considered as the capital of gabariers. It preserves from its past of high commercial place the broad quay Lestourgie, where it is good to stroll and to relax in terrace. Bordered by houses with picturesque facades and painted wooden balconies, it offers an exotic and warm decor. Do not hesitate and come spend your next holidays in Corrèze. 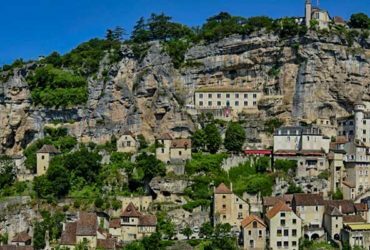 An essential trading port on the Dordogne in the 18th and 19th centuries, Argentat is today rich in an important architectural and historical heritage, to be discovered in particular through its lauze-roofed houses, its noble houses and its old convents. Among the places not to be missed in Argentat, is the heritage house that presents the local history and offers a documentary film on the history of shipping. The Saint-Pierre church is also a remarkable building: neo-Gothic, it houses woodwork and liturgical furniture of the 17th century. A walk in the city center will allow you to admire many picturesque facades, including the beautiful buildings that are the house of Soulage and the hotel Turenne. 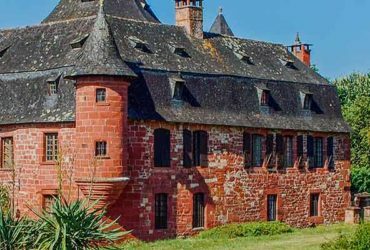 On the banks of the Dordogne, the former Récollets convent contributes to the charm of the city. Along the Quai Lestourgie, you can also admire a replica of courpet, typical barge of Argentat. Two kilometers upstream from the city center, the Sablier dam on the Dordogne offers a unique setting. 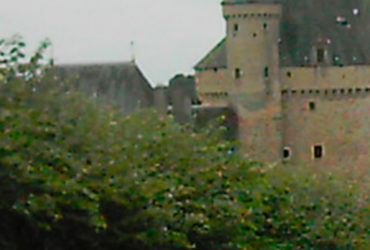 Gibanel Castle, a 13th century fortress whose architecture is revisited in the 17th century, stands its majestic silhouette on the edge of the reservoir. Bordering the calm waters of the reservoir of the Sablier dam, the Gibanel castle campsite is located a few kilometers upstream from Argentat town center. 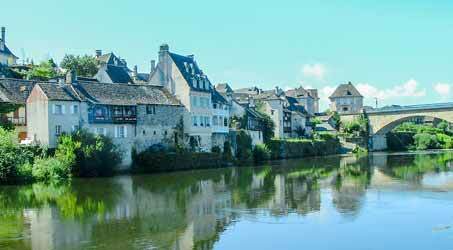 Barely 10 minutes are enough to reach the beautiful Quai Lestourgie along the Dordogne. The trip can also be done in 20 minutes by bike: ideal for a morning walk on market days! Many activities can be practiced on Argentat. Do not miss the essential barge ride, this flat-bottom boat emblematic of the city: the history of Argentat and the local waterways will be told you the time of this little cruise on the Dordogne. Thematic walks are also proposed: theatrical, to discover nature, or around the history of the dam. 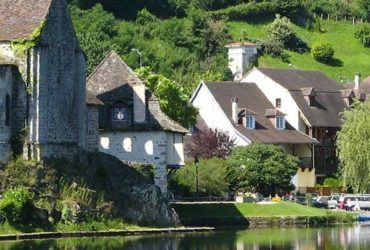 Other original visits of Argentat and its surroundings are possible: with Agri Rando, you go for example by 4×4 vehicle to discover surrounding farms and local products. 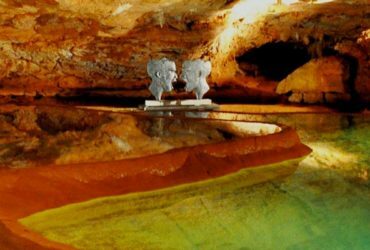 Leisure enthusiasts of nature and adventure, the setting of Argentat lends itself particularly to the activities of canyoning, climbing and abseiling. The paddle or canoe trips are of course essential. For a refreshing family break, head to Splash, an open-air aquatic center with a spa and water slides. As for entertainment and events, you’ll enjoy Argentat’s two fairs a month, local markets and seasonal night markets. Throughout the summer you also expect festive events: nocturnal traders, flea markets, potters’ fair, folklore shows, thematic day around the skippers. 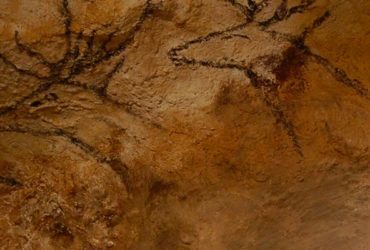 In July, the annual “Tous sur le Pont” festival brings to life the legend of Coulobre, a monster of the Dordogne that haunted the imagination of Gabariers.